HOUSTON (KTRK) -- The Houston Super Bowl Committee is set to open its volunteer recruitment center at Greenstreet on Fannin in Downtown Houston. 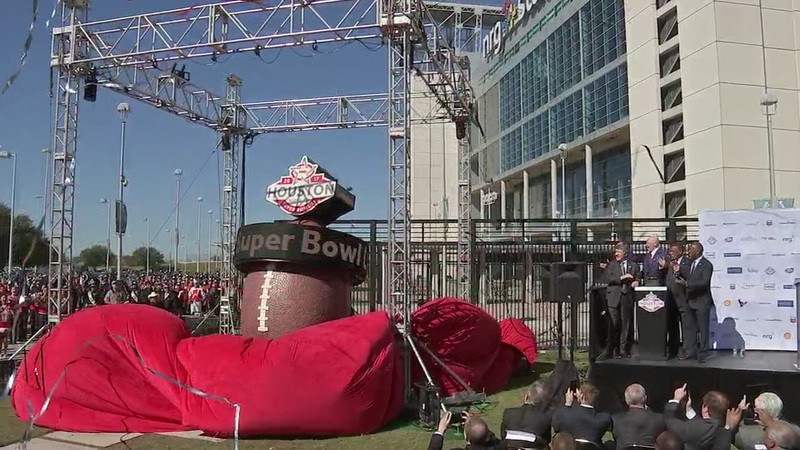 The committee says it will need up to 10,000 volunteers in the days leading up to Super Bowl LI in 2017, which will be held right here in the Bayou City. The host committee says it is looking for volunteers who are passionate about football and our great city to help them man all the airports and events happening in the 10-day period before the NFL championship game. Volunteers will be required to work at least three 6-8 hour shifts, while volunteer supervisors are expected to work a little longer. Volunteers must complete a face-to-face interview, finish a set number of training sessions and pass a background security check before they're selected. For more information on volunteering, please go to www.housuperbowl.com/volunteer, or send an email to volunteer@housuperbowl.com. Meantime, on Saturday, you can go to Space Center Houston for the 'Touchdown Tour,' which is a kick-off event with giveaways, music, food and a beer garden.